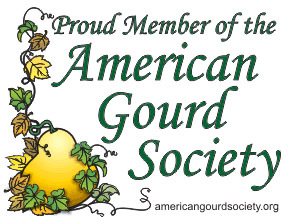 This page is devoted to my small items: Gourd Ornaments, Gourd Bottle Stoppers, Gourd Pen Holders, and Gourd Necklaces. All (or most) of these items can be found at the locations on the “Available @” tab. 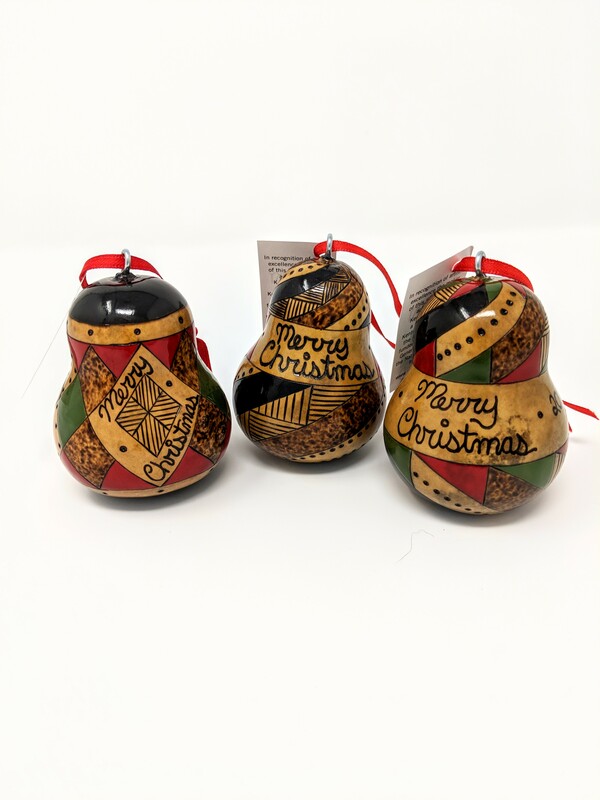 Each gourd ornament is hand drawn on a mini pear gourd, egg gourd, or banana gourd, decorated with pyrography (wood burning) and a little color added with nail polish (yep, nail polish). After each is completed, I dip them twice in Miniwax Polycrilic wood finish to ensure a great, long lasting protection. Each is about the size of a store-bought large chicken egg, but they do vary somewhat. 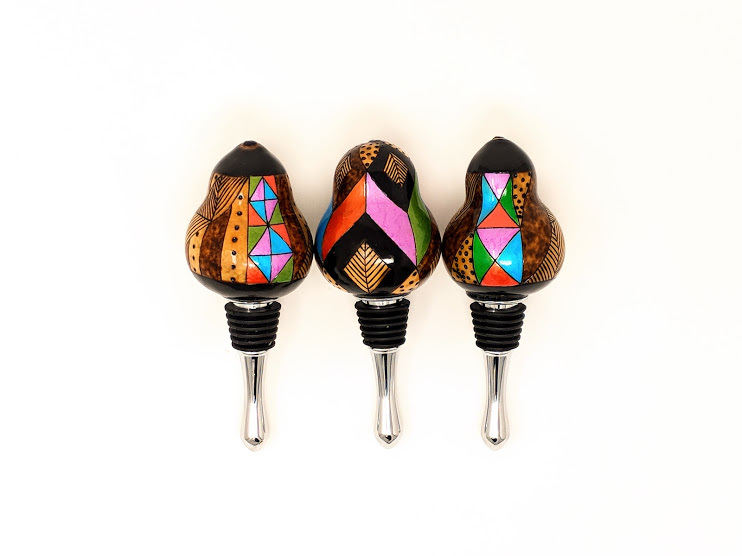 Bottle stoppers created in the same fashion as ornaments, then securely affixed atop a quality chrome bottle stopper. 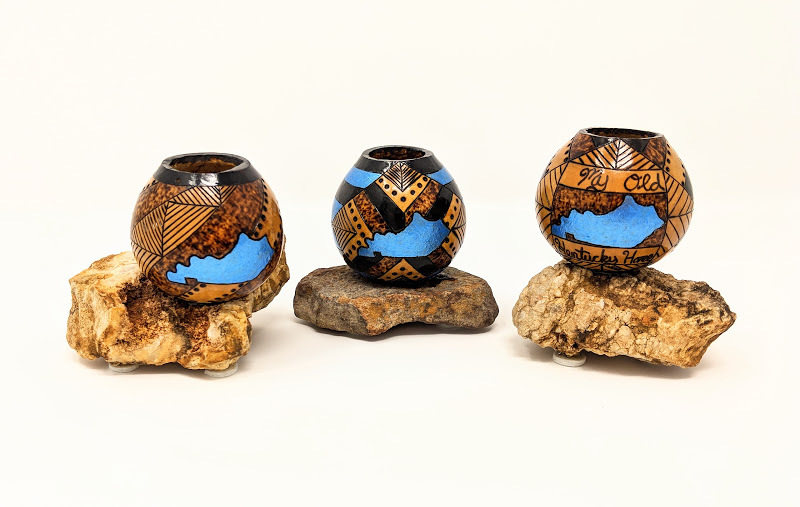 Pen holders (or whatever you find use for) created with ornament size gourds, making a little bowl, then securely affixed atop a hand-picked Kentucky creek rock. 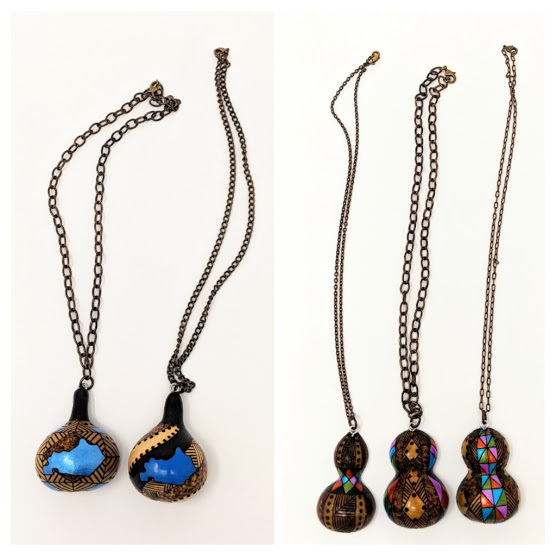 Small jewelry sized gourds, crafted to have a flat laying back, decorated with my pyrography art, affixed a quality natural brass chain. The designs are all unique, with various symmetrical patterns working together to create a one of a kind treasure. Gourd items can also be custom ordered and personalized by emailing me at snpcrafts@gmail.com. If you like a certain style that you see me post, I can either recreate with your desired colors and personalization, or create a unique version similar to that. Just let me know.